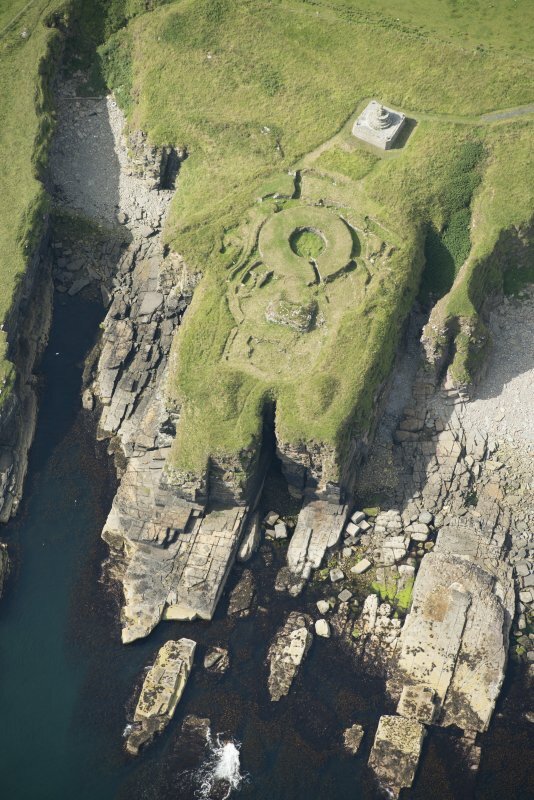 Oblique aerial view of Nybster Broch and Nybster Commemorative Monument, looking WSW. Description Oblique aerial view of Nybster Broch and Nybster Commemorative Monument, looking WSW. >>> Item Level (DP 159358) Oblique aerial view of Nybster Broch and Nybster Commemorative Monument, looking WSW.